Just in another great find. 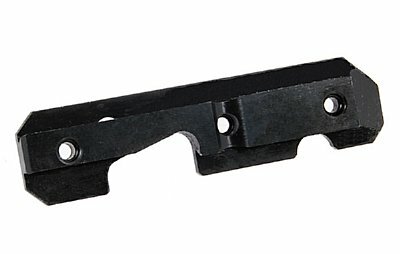 AK military side mount, fits all stamped or milled AK's. Includes base, mounting hardware and see thru 1" rings. 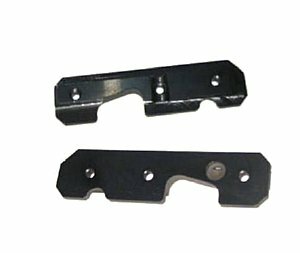 This unit is made of steel and is easily removable with one large thumb screw. 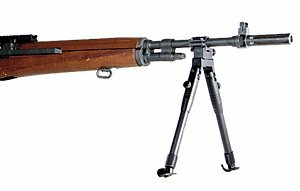 Unit is made just like the Mosin Nagant PU mounting system and while these were made for the AK rifles, they will easily mount to any flat surface on a large array of weapons. We have a limited amount of these unissued in new condition available. These are deeply blued and and as does the PU mount has the leveling/locking screws. 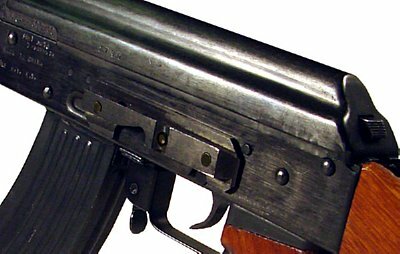 AK scope mount, replaces top cover, fits Romanaian, Chinese and Bulgarian AK's (and others with standard AK top cover) This tri rail mount allows you to mount all the accessories you ever wanted on your gun. Side rails are removable and well as placement can be changed. Tri rail and see thru design with all metal construction. All metal construction with top rail and removable side rails. 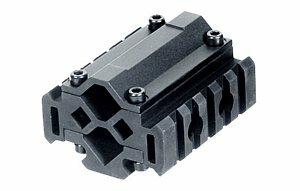 Cover replaces your existing cover and gives you a platform to install scopes, dot sights, lights and lasers. 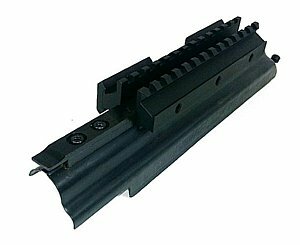 Fits AK47, AK74 and AK223 rifles with standard top AK covers. 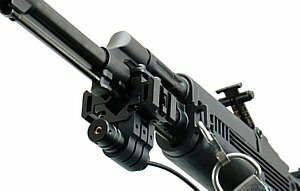 Barrel clamp rail gives you the option of mounting your bipod, light and laser without altering or drilling into the stock of your prized weapon. 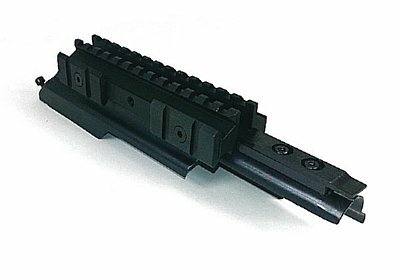 All metal mount securely clamps around your barrel and gives you a much needed rail. A David's Collectibles problem solver. Designed for Combat Use with Great Zero Retention Feature. Fits Both Milled and Stamped Receivers. 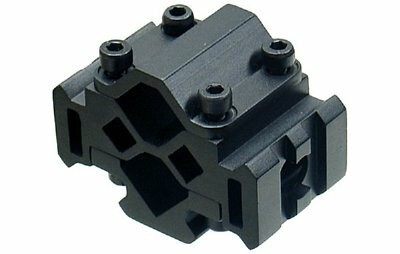 Accepts A Wide Variety of AK Side Mounts. Consult with Machinist or Gunsmith for Quick Installation. These are in and shipping! 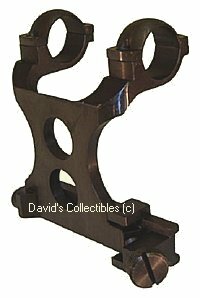 Russian made side mount (attaches to gun) for the side mount scopes. This is the mount base only, the metal part that attaches to the gun, this is the current military mount in use by the Russian military since 2000! It is steel, machined not stamped. Plate will fit both milled or stamped receivers. 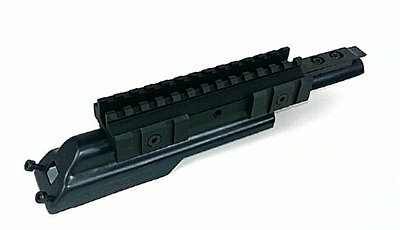 PSORAIL will fit our side mount's and POSP scopes, and will fit rifles which were not factory equipped with a side mounted optics rail as well as a new replacement for models that came from the factory with a side plate! 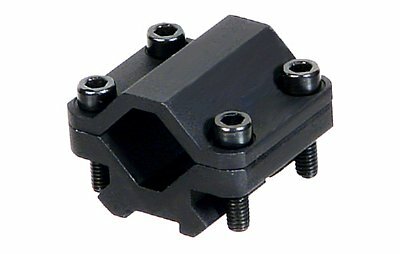 Note: Picture shows front and rear of mount, purchase is for 1 mount.